Do you know that wholegrain oats are a good source of fiber and it is rich in beta-glucan that can help to lower cholesterol, blood pressure and reduce risk of heart disease? 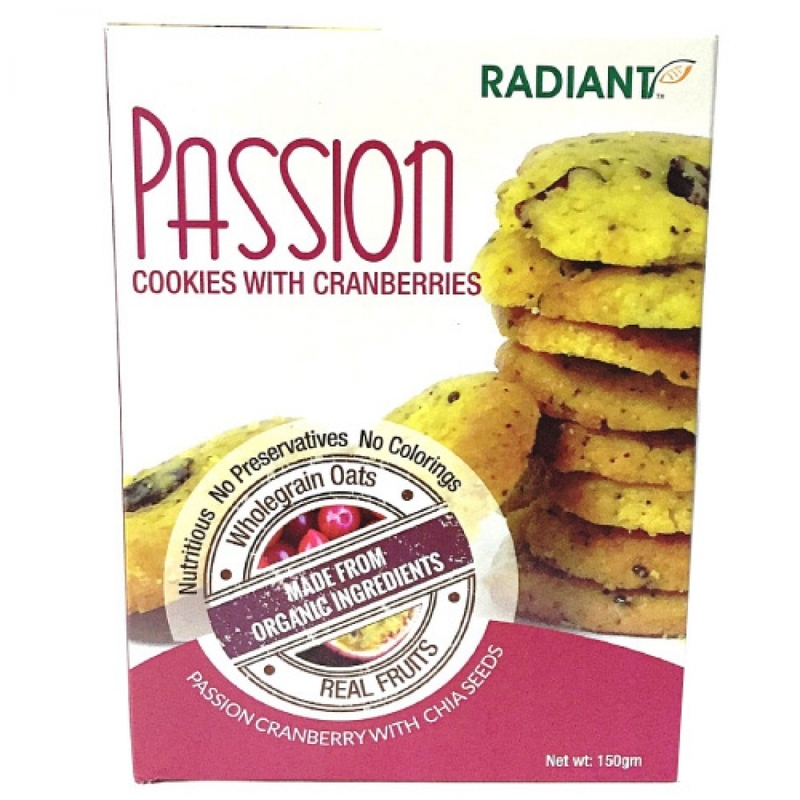 Fall in love with Passion Cookies made from the finest imported organic wholegrain oats and other ingredients. Enjoy the burst of flavours from cranberries and passion fruits with the goodness of organic chia seeds in every bite. Delicious, healthy and yummy. Consume direct as a snack. Great for kids and adults.